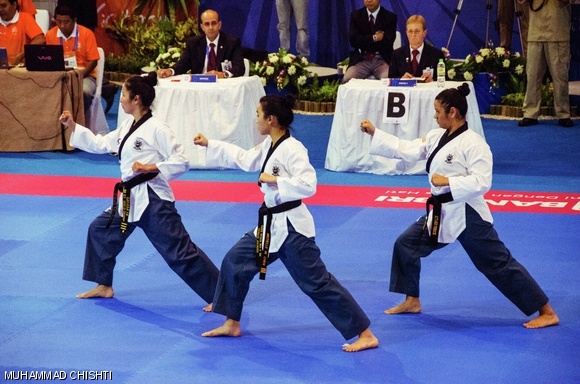 Michelle W. Chen ‘14, Carissa Fu (Boston University), and Miyako Yerick (University of Texas at Austin) compete in the Eighth World Taekwondo Poomsae Championships held on October 31 in Bali, Indonesia. The three athletes represented the U.S. Female Under 29 team, and placed eighth out of 17 teams at the prestigious competition.